..:: Louis Equipment Company - Home ::.. Copyright to all materials on this page, whether as rendered by the reader's Web browser or as contained in this code, is owned by Louis Equipment Company, Inc. with the exception of the Hiveware Enkoder script used to obscure email addresses which is owned by Hiveware, and supplier content used with permission and owned by respective owners. We are no longer selling or renting. For product clearance inquiries please contact LCW Props, phone: +1 (818) 243-0707. Welcome to the official web site of Louis Equipment Company, Inc. Opened in 1947, incorporated in 1949, closing by the end of 2014. 67 years as purveyor of ship chandlery, provisions, marine and industrial supplies, film and theatrical decor, marine curiousities, war surplus, and miscellaneous harbor projects. The Louis Equipment chandlery shop and theatrical props rental is now closed. We no longer hold shop and counter hours. You are welcome to contact us while clear our decks, but product or rental inquiries should be directed to LCW Props, phone: +1 (818) 243-0707. WHAT ABOUT THE YARDS, WAREHOUSES, AND STORE? All or part of the facilities here on our block on Schley Avenue, between East Anaheim Street and I Street in Wilmington, California may be rented, leased, sold, or otherwise employed. We are happy to receive any clear offers. On behalf of the late Manny Louis, my dear father and founder, and the late Anina Louis, dear sister and manager for decades, my mother Rochelle and I want to thank all those with whom Louis Equipment Co., Inc. enjoyed so many years of work, community, and all the experiences. Metal & Glass Night Light. These lamps are all slightly different, and obviously hand crafted. The metal appears washed in a bronze color. Interior Decor Use. Approx. 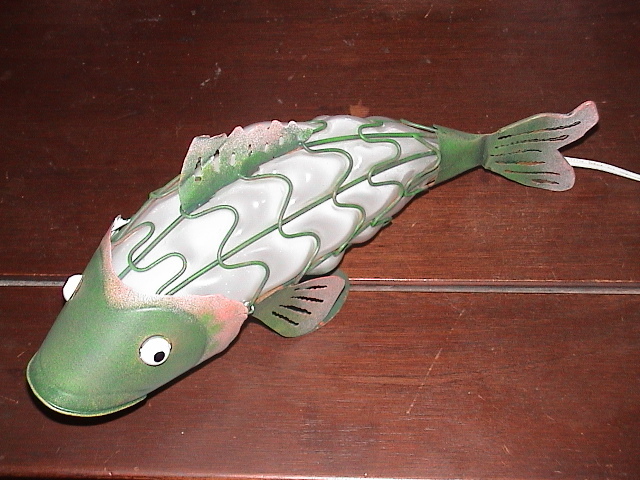 14½ long, 6 inch high, 4 inch wide. Each lamp comes with a 110 volt candelabra base bulb, installed in a snap-in base with approximately 5 foot cord with standard dual blade plug, and inline switch. Not recommended for nursery/children's room use. These are fragile, and made of breakable glass. Indian Head Brand #25. These are classic laminated wood canoe paddles. We've around a gross of them, and would like to see them go to good homes. There's some nostaliga built into these as, if Mr. Louis' memory serves right, these were originally purchased from the famous C.J. Hendry Company chandlery, once of San Francisco and San Pedro. Decor or Practical Use. These are suitable for practical light canoe paddling, or would make great decorative items. Note: These fine laminated wood items will not stand up to rough use. Paddles are approximately 29½ inches by 6¼ loom with 13 inch blade. (See picture.) 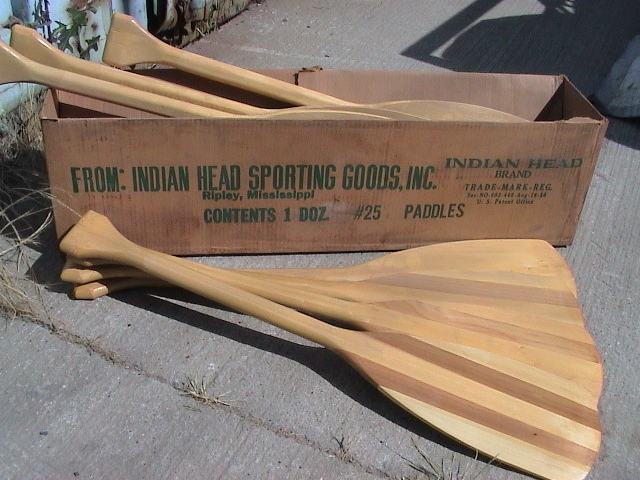 Indian Head logo does not appear on paddle. 1¼-inch Aluminum Pipe Frame. Sprung with steel link mesh and 42 springs. Ready for mattress. 80-inch x 32-inch x 8-inch. Weighs about 30-lbs. Shelf or Bulkhead Mount. Mounting hardware not included. Clean as new. Hung from deckheads and bulkheads for petty officers on US Navy ships. Ideal for kids rooms or back porch napping. Used, with some aging and discoloration depending on chosen hank. 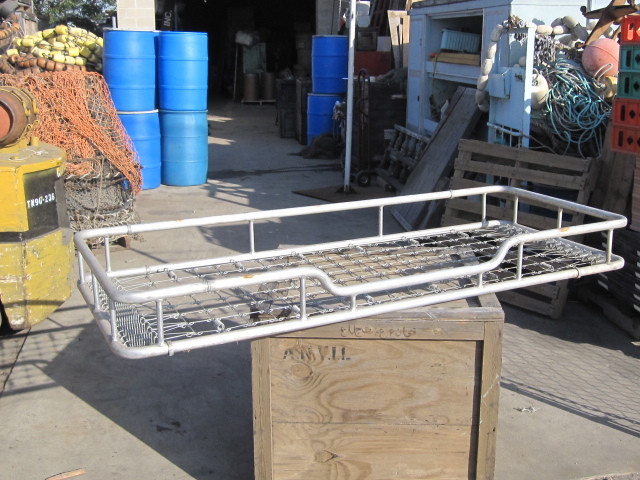 Originally used for big ship dock line. Ideal for decorative and craft uses. Lengths with Thimbles add $100. 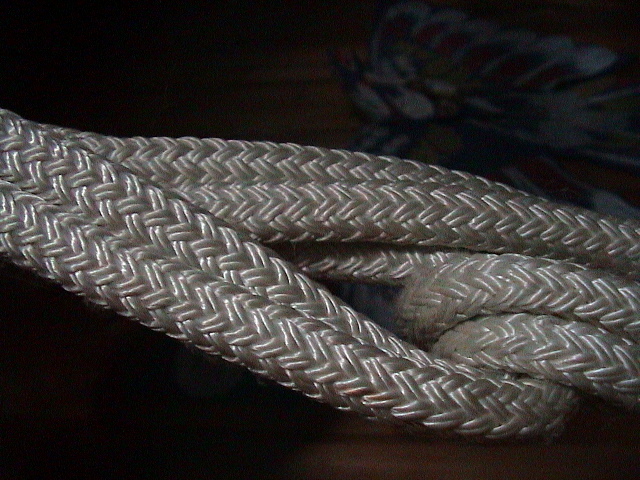 Some lengths have a large end-spliced thimble. These are limited, as there's only one per reel. A splice of this size would cost over $65 and the closed thimble around $250. Let us know if you want us to find a length with one of these. Note: Thimble and splice adds to shipping weight. Selected stock only. While it lasts. 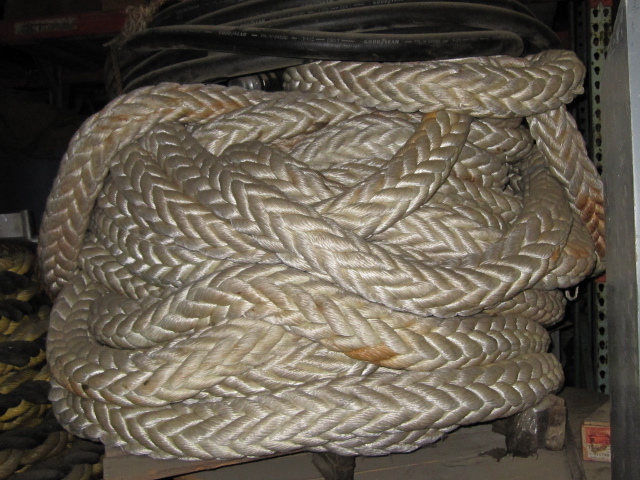 SHIPPING NOTE: Rope (line) is freight class 50, one of the least expensive to ship. We'll be happy to look up shipping costs on request. Found in the warehouse! We have many of these. They are still sold/made by Perko. Made of zamak, a light spun metal alloy. Small imperfections. Tapped for #8 flat or oval head screws. Let us know if you need fasteners (they're not included). 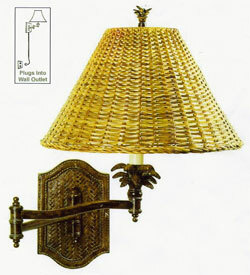 Tropical swing arm wall lamp. Solar bronze finish. Woven wicker shade. OK for 12v or 110v. 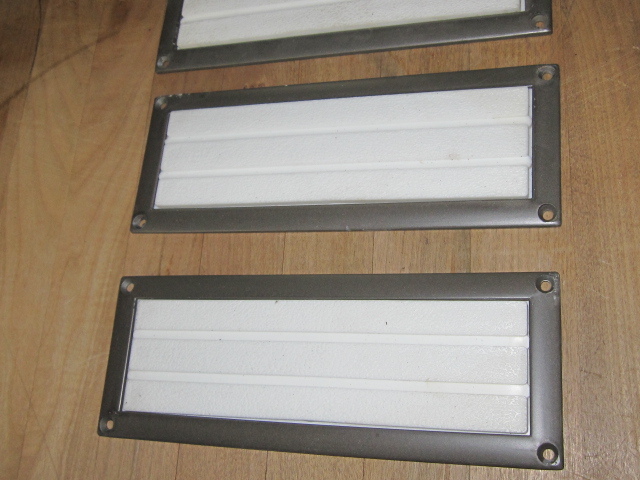 Use with cord or hard wire, switch on lamp. Louis Equipment Price: NO LONGER AVAILABLE. 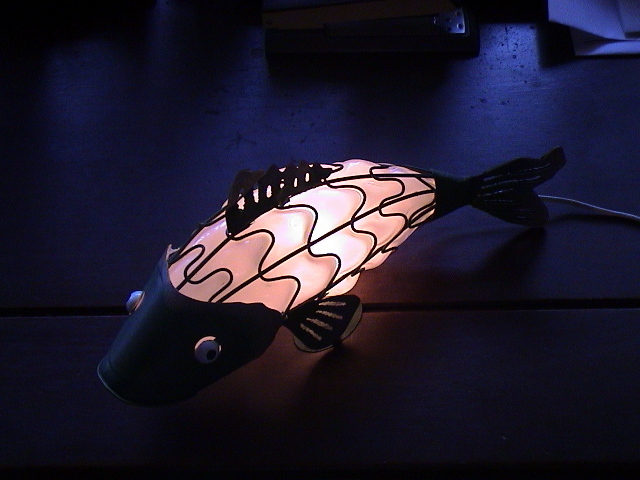 Shiprights and lubbers alike all need a good reading light. Still some of these available! Original ship's caulking okum. Used for caulking seams of wooden boats and ships. 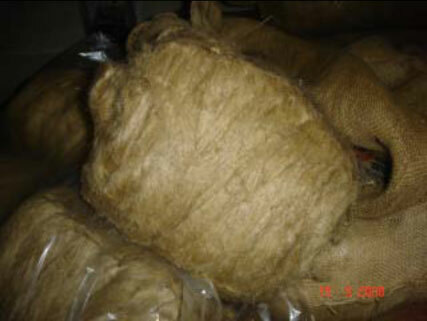 (Other marine vendors are selling plumber's oakum. Not the same thing at all.) Ours comes from the single international manufacturer in Holland. For those wanting quality hull plank repair and lay-up. Please feel free to contact us via phone or . After almost 70 years in business, Louis Equipment Company is closing.